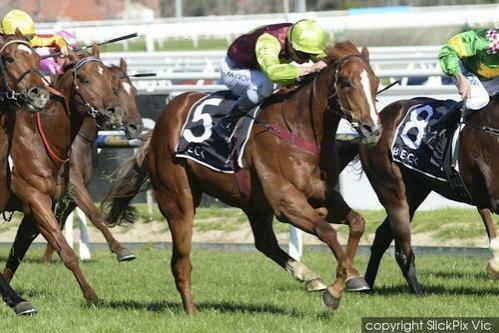 Exciting 3yo colt BON AURUM brings up back to back Stakes wins today by beating a top field of Caulfield Guineas contenders in the G3 Caulfield Guineas Prelude over 1400m at Caulfield today. Kerrin McEvoy gave him a sweat ride relaxed mid field in transit, then brought him to the outside with a well timed run approaching the turn to sweep into the lead in the closing stages to salute. He now heads to the G1 Caulfield Guineas over 1600m as one of the key chances.